Â? 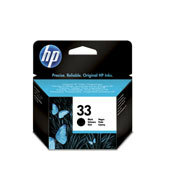 HP 73 Matte Black and Chromatic Red Printheads provide outstanding quality and long-lasting, problem-free prints time after time. Avoid the waste and rework and save time and money. Get rich, vivid colour with quick colour stability. Â? Avoid waste and rework that costs time and money. HP reliability means low-maintenance, trouble-free printing that saves you time. So your turnaround time is faster and your costs of printing are lower. Â? Get simple, problem-free printing with the HP Matte Black and Chromatic Red Printhead. Built-in intelligent technology makes automatic adjustments to ensure consistent print quality and colour accuracy, and provides timely alerts. 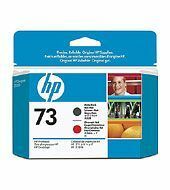 Overview HP 73 Matte Black and Chromatic Red Printheads provide outstanding quality and long-lasting, problem-free prints time after time. Avoid the waste and rework and save time and money. Get rich, vivid colour with quick colour stability.